Monday night was the NY premiere of Vuelos Prohibidos, Forbidden Flights, a film by Cuban director Rigoberto Lopez. The film tells the story of Monique, a French woman, who meets a Cuban man while at the airport waiting for her flight to La Havana. Monique is going to meet her Cuban father, whom she has never met before and who recently discovered her existence. Due to weather conditions, the flight to Havana is canceled and Monique and her new friend become lovers. But the movie is not exactly a love story. It is about Monique’s journey to find her father. Through Monique and Mario’s short and passionate relationship, we discover Cuba. The film’s main protagonist is Sanaa Alaoui, a French women of Moroccan descent. Mario, Monique’s airport lover is played by Pablo Fernandez Gallo, a Cuban singer. The chemistry in the film is undeniable. Both roles are played exquisitely. Forbidden Flights was produced in Cuba in collaboration between the Dominican Republic and Cuba under an agreement with Duende Films and former President of Dominican Republic, Leonel Fernandez and his foundation, FUNGLODE, (Fundación Global de Democracia y Desarrollo). It is a co-production of the Cuban Institute of Art and Cinematographic Industry in partnership with the Cuban Ministry of Culture. 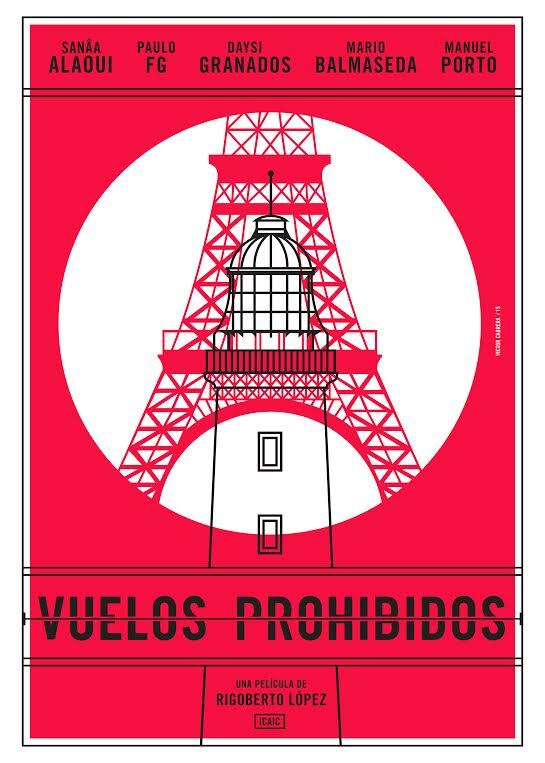 Vuelos Prohibidos/Forbidden Flights was recently featured in the Festival de Cine Global Dominicano in 2015 and made its debut in New York at the Walter Reade Cinema in Lincoln Center on April 25th in an event hosted by Mega 97.9. The film will be in theaters stateside (NY, Miami and LA) on Friday April 29th. Hispanicize 2016 knocks it out of the park!